While I was at the market last week I was drawn to all of the autumnal floral and greenery in the flower section. I especially loved the rosehips and dahlias. 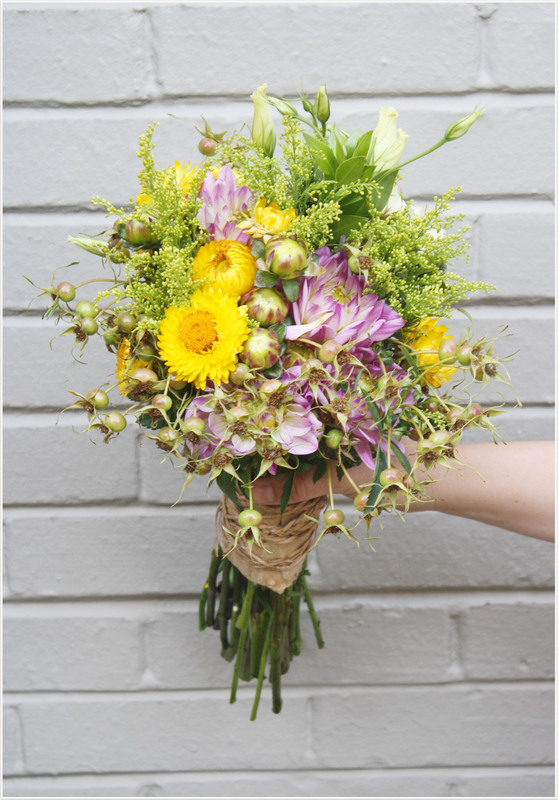 So I picked some of them up to create a little bouquet – it’s good for the soul, arranging flowers, ya know.